The book includes a detailed description of how the concepts of SGML are used in HTML and provides an accessible explanation of all the features provided by both languages through numerous real world examples taken from the world of electronic publishing. SGML is the powerful parent language of HTML, which is also widely-renowned for its flexibility in any software editing environment that does not require codes. 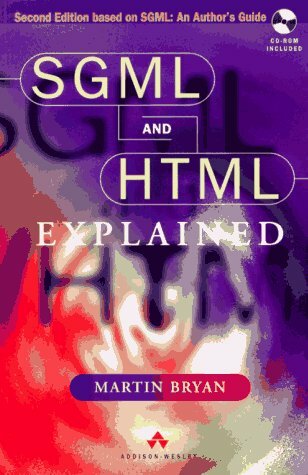 This work defines the relationship between SGML and HTML, and how both apply to the World Wide Web. It enables readers to define document structures and apply them to real situations. It also includes a complete listing of SGML terminology, shortcuts and advice on software packages supporting SGML.